Dreamforce Registration is Officially Open!!! I’m really bad about using exclamation marks all! the! time! (I get it from my Dad who thinks I work for Salesforce, not just with it, I digress), but this announcement is worthy of all the shouting! That orange button calling us to action with its words that make any Trailblazer excited went live on Wednesday. 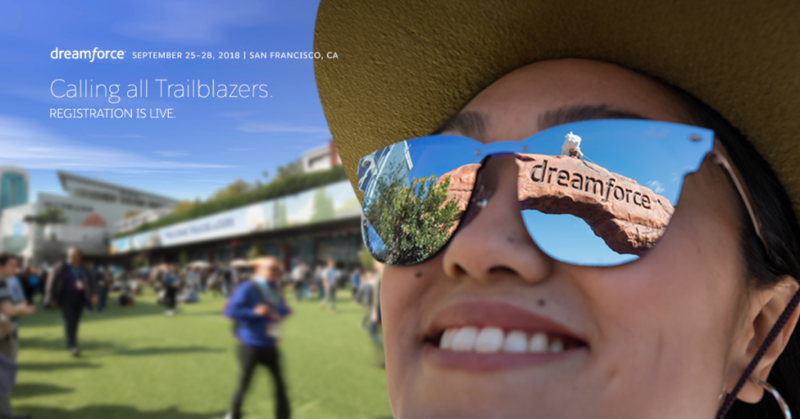 Registration is open for Dreamforce 2018 (in case you missed my excitement). This year, I’ll be making my return for my third Dreamforce – I’ve attended in 2013 and 2016. This mega-user Conference is all it is cracked up to be and then some. In September, join all your fellow Trailblazers to get inspired, give back, and have the time of your life. This is the time to think about how you want to blaze your trail (perhaps to prep for a career change like Kenny has recently experienced), connect with others like you, get some swag (no shame in my swag game, Tom can relate! ), or get a supercharge and up your certification. I’m considering the Advanced Administrator because after 7+ years being an Accidental, it might be time. If you didn’t burn your fingers off trying to register early this week, head on over to the Dreamforce website and do it now. You’ll be glad you did. 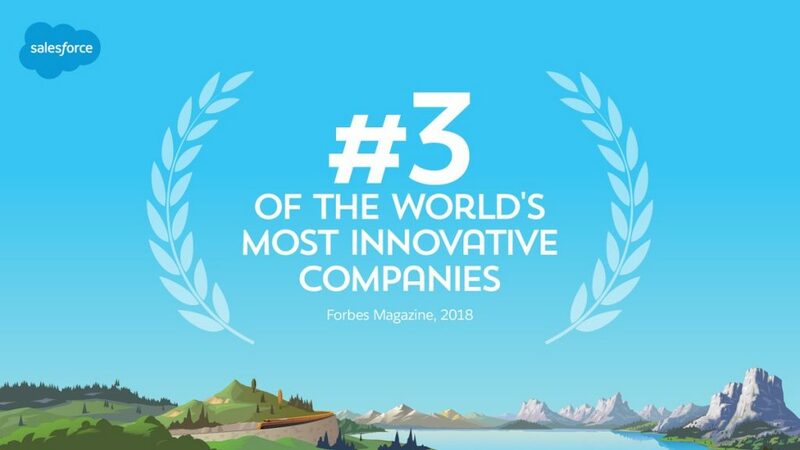 Forbes announced that Salesforce is #3 in the World’s Most Innovative Companies. This isn’t a tool just for customer relationships, it’s a company that puts so much success in the hands of its customers. Between automations (“clicks not code”), IoT integration, collaboration, and ways we engage as a community, this tool is pretty impressive. To add to Salesforce’s Twitter announcement of this accolade, it went from “small beginnings in a San Francisco apartment to” a towering Tower that lights up not just the Bay Area skyline but reaches to businesses of all sizes all around the world. That’s powerful stuff. Congrats, Salesforce! I’m busy researching how to get my users to adopt the integration of GSuite with Salesforce and they’re both busy giving us even more data to have at the tip of our fingers. Another big announcement this week is that of the new global strategic partnership with Google, big news is around the analytics of Google Analytics for our Marketing friends. This is the first time ever that Google has worked with a third-party company on such an integration! Find out more about this development here. “I’ve never thought twice about what they’ve said”, JR Hildebrand says in this promo video. A math and science whiz taking 11th place at the Indy500 is a pretty big deal, especially when he’s been sponsored by Salesforce. JR took some time to talk to the Salesforce Blog about what blazing a trail means to him in this recent Trailblazer Voices story. While the days of me watching racing are long past, I was pretty excited to see how he’s overcome challenges and gave fear the boot. We got to Keep on Keepin’ On, as Kristi shared last week, right?